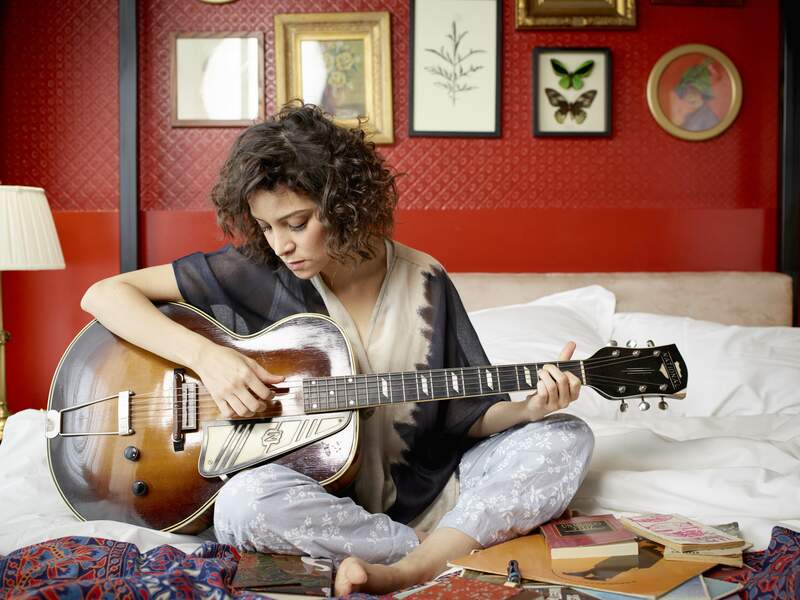 Born and raised in Guatemala, Los Angeles-based Gaby Moreno grew up inspired by artists such as Ella Fitzgerald, Nina Simone, and Aretha Franklin. She immersed herself in blues, R&B and 60’s Soul and learned to speak English by singing the songs she loved. Gaby Moreno has toured across the globe alongside artists like Tracy Chapman, Ani DiFranco, Ricardo Arjona, Van Dyke Parks, The Punch Brothers and Calexico. Most recently she performed at David Byrne’s Meltdown Festival in London and Washington DC’s Kennedy Center. Gaby is currently touring and working on her next record “Ilusión” (due out September 9, 2016). Ilusión is produced by Gabriel Roth from Daptone Records and Sharon Jones & The Dap Kings camp. Armed with a warm, soulful horn inflected sound – Moreno creates a unique lane of music that straddles both the English and Spanish speaking spheres and blazes an intoxicating invitation into her musical world.